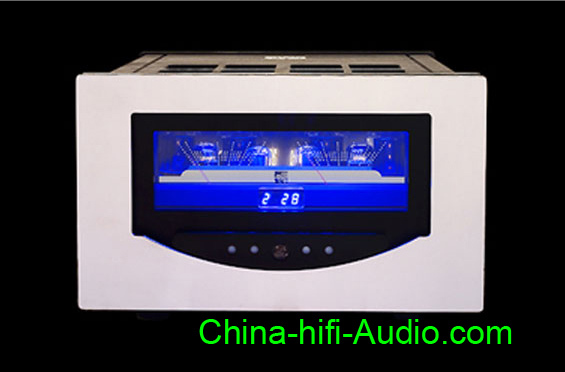 V-88 tube stereo integrated amplifier uses a delicate and beautiful exterior design, all aluminum chassis with fine stainless steel panel. Special precision mechanical clock hand power Indicator, with blue digital display, digital step-style relay for volume control. This amplifier uses a great classic tube lines and a special power transformer, output transformer and choke, hi-fi with the coupling capacitor. With excellent control and a strong dynamic, bass is full-bodied, the tenor is lubricated and plump, the treble is delicate and transparent, sound is fascinating. There is a remote control. take 3-14 work days to order), 220V is in stock.